Head coach Mark Stoops has shown himself to be quite capable of taking charge when it comes to leading the University of Kentucky Wildcats into gridiron action, but it took a decidedly different kind of guy with a shock of spiky hair and dark sunglasses named Max Maxwell to bring better command to the audio systems serving the team. 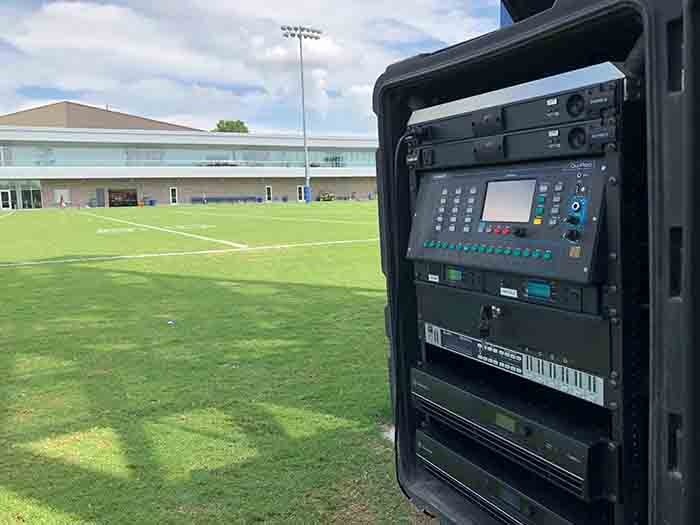 Utilising Allen & Heath’s compact Qu-Pac digital mixers, Max, along with his own players from Jeffersonville, Indiana-based SystemMax, has developed and installed new layers of audio control for multiple venues used by the Wildcats for everything from practice to championship games. Maxwell and Johnson ultimately found a better solution in the form of Allen & Heath’s Qu-Pac mixer. Imbued with the power and performance of the company’s Qu Series family, compact Qu-Pac products are shrunk-down digital devices that can be either rack mounted or used as you would a standard desk-type console. Capable of utilising custom settings and Cat5 expansion with up to 38 inputs, the mixer’s functions can be accessed via the front panel and touchscreen, or from an iPad.